Gabe Aul confirmed that going forward, Windows 10 Mobile devices are going to be the ones which recieve builds first and not Windows Phone 8.1. I know that a lot of Windows Insiders are eager to know what’s going on with Mobile builds. As you know we’ve already released the Lumia 950, 950XL, and 550 devices with Windows 10 preinstalled, and we’re still on track to release Windows 10 as an upgrade to existing devices early this year as we planned. The team is working now by looking at data and reports from Insiders who have upgraded their devices to preview builds, and ensuring that we deliver a great upgrade experience to customers. We’re excited about making the upgrade available, and will share new information with you just as soon as we can on how the rollout will happen. Today we deliver our 4th PC preview build, and are nearly ready to start sharing new preview builds for Mobile as well. We will start by making these builds available to devices that shipped with Windows 10 – the 950, 950XL, and 550 – and expand from there as we release Windows 10 to other devices. What this means is that if you don’t have a Lumia 950, 950 XL 0r 550, you won’t be seeing the latest builds on your device as they arrive, rather you’ll get them afterwards. It is not clear if this means after Windows 10 has been officially released for your device or just a brief delay, but the bottom line is that if you want the bleeding edge builds of Windows 10 Mobile, you’ll need a new phone. In other news, Gabe confirms that the Windows 10 Mobile update is rolling out later this year. However, he notes that the team is now working on feedback delivered from each device used by insiders to optimize the experience. We take this to mean that Microsoft might possibly hopefully pay closer attention to battery and cpu usage on lower end models and optimize to reach Windows Phone 8.1 levels of performance. 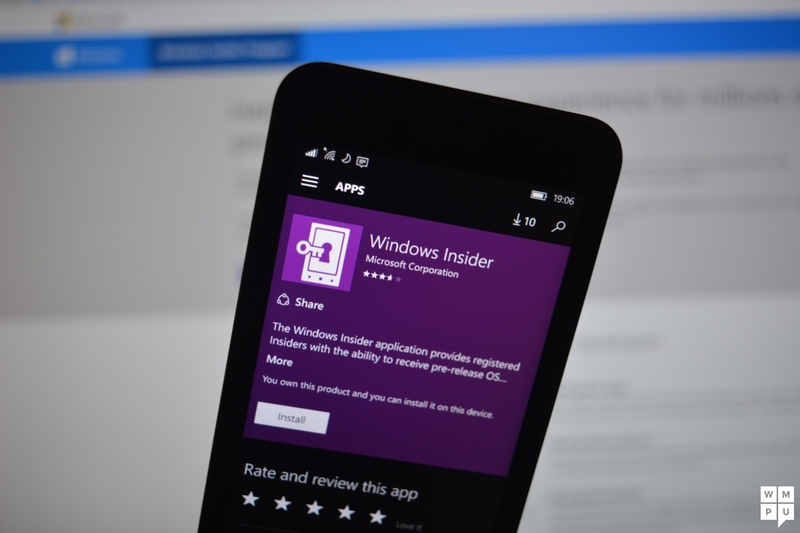 Do you have a Lumia 950 or 950 XL on insider? Let us know in the comments below.